Salesforce.com’s stock climbed more than 170 percent in the past three years. And with a valuation reaching $24 billion and annual revenue of $2.8 billion, I’d say they’re doing something right. 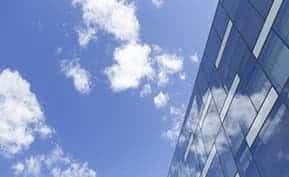 In this article we’ll explore the software as a service (SaaS) business model that Salesforce.com uses and how you can apply aspects of it to help grow your business. As you can see, the model Salesforce employs is just one of many in their industry. Now think of the industry you’re in. Are there other business models that could be used to deliver the product or serve you’re offering? While it’s tempting to think your model is the only (or best) way to operate it’s important to consider all your options. You may be able to double or triple the size of your company in one year simply by changing your business model. Now let’s take a look at three aspects of the Salesforce business model to see how you can improve your business. One reason Salesforce.com grew from a start up in a rented apartment in 1999 into the world’s fastest growing software company in less than a decade is because their model was scalable. In 2002 they had less than 400 employees and 5,700 customers. By 2010 they had grown to 87,200 customers, with 4,750 full-time employees and had over $1.4 billion in annual revenue. That equates to over $294,736 in sales per employee. This kind of growth is only possible for companies with a scalable framework. Software falls into the scalable business model category because selling more software does not mean the company will have more expenses. Service businesses, on the other hand, are not usually considered scalable models because they require the personal output of staff to increase revenue. Salesforce.com and other leading SaaS providers typically release four to six major upgrades each year, while product cycles for large, traditional vendors usually take 12 to 18 months. One of the reasons SaaS providers are so innovative is because they listen better. Let me explain. Cloud-based software like Salesforce.com can capture data sets that track consumer preferences and trends at a more detailed level than traditional models. After the data is analyzed and synthesized the SaaS provider is able to optimize pricing and features that are tailored to individual preferences instead of a one-size-fits-all price and package. A commitment to this kind of agile software development leads to innovative breakthroughs inspired by the actual desires of users. Since the SaaS provider is receiving constant feedback about their service they are able to focus their efforts in the right places. One of the most important aspects of Salesforce.com’s successful business model is reoccurring revenue. They’ve essentially combined the age-old “membership business model” with software sales to create one of the most effective and powerful business models of the future. It’s no secret that reoccurring sales are more predictable and profitable than one-off selling. The big challenge with one-off selling is that after the customer pays you the revenue stream runs dry for that customer. A great example of an innovative company who used reoccurring revenue to disrupt their industry is Netflix. They were able to shake up the video rental industry in a relatively short period of time by offering a recurring service for a reasonable price. Simply compare Blockbuster with Netflix to see the power of reoccurring revenue in a business model. While both companies rent movies to customers, Netflix essentially has 100 percent recurring revenue while Blockbuster had close to none. With this in mind it’s easy to see why Blockbuster has a market capitalization of under $20 million, while the market values Netflix in excess of $7 billion. So remember, not all revenue is created equal. How Can You Improve Your Business Model? What can you do to make your business scalable? How can you foster a culture of innovation? How can you attract more reoccurring revenue from your customers? Investing the time to answer those questions will help you refine and improve your business. 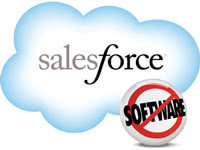 Looking for additional information on Salesforce and other leading CRM software? Browse product reviews, blog posts and premium content on the CRM resource center page. To compare top CRM solutions, download one of our seven free Top CRM Software reports. 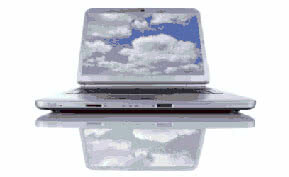 IaaS, PaaS and SaaS: What's the Difference? 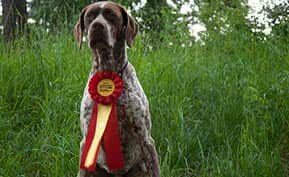 Why Choose Best-of-Breed Over an Integrated Software Suite?